Richard Branson knows that innovation is key to survival, and has put his money where his mouth is by launching over 400 companies (so far) under the Virgin brand. Some are good (Virgin Active Gyms) some bad (Virgin Brides - did he really think that would take off?!) and some downright brilliant (who doesn’t love flying Virgin Upper Class…?) and he’s not stopping there. 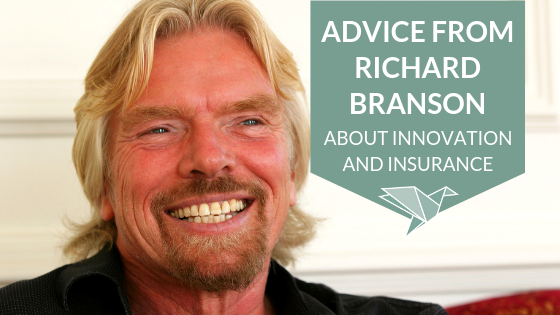 We all know that the insurance market needs innovation too if it is to survive. As the soft market shows no signs of abating, investors and shareholders in both brokerages and (re)insurers are demanding innovation as a key component of growth. Risk Managers complain that this dynamism is lacking, and in a post-Brexit UK, sources suggest that 40% of premiums could be lost to local markets without innovation, threatening not just profits, but thousands of jobs. So, how does this apply to insurance? This means asking questions of your clients and listening - really listening - to what they say. Socratic questioning (replacing the weak and outdated “What keeps you up at night?” type approach) is a skill in which all your outward facing teams should excel. Your rewards for asking these questions will be deeper insights than your competitors, stronger relationships with clients (think “trusted advisor”) and critically, more opportunities to uncover the real problems that your clients want you to solve. You need to up-skill your existing teams and be a magnet for passionate talent, attracting and developing stars both from within the insurance market and beyond. An inclusive culture that combines autonomy and the opportunity for professional development with a flexible and forward thinking approach – this will attract those you need most on your team. The dangers of “group think” are well documented (not to mention the fact that they played out for all to see during the 2008 global financial meltdown). It is a leader’s responsibility to ensure that their team feels free to express their opinions, (even if they are contrary to his or her own) and it is each team member’s responsibility to speak up. Below is one of my all time favourite narratives on the topic – worth a watch if you are a leader. No one knows your clients better than the people talking to them frequently. Whether that’s the account executive handling daily enquiries, the claims underwriter on site to advise during a loss, or the engineer undertaking fire protection surveys, they are perfectly positioned to listen, pick up on pain points and suggest new ways to solve them. These people need to be brilliant at asking questions and listening to the answers, and they need to feel empowered and confident when it comes to sharing their insights. Asking a team to invent a huge, complex, market-shifting innovation can be overwhelming and can cause paralysis. Valuable innovations come in all shapes and sizes, so focus on what simple small change would make a big improvement for your clients. Lead by example. Be curious. Explore, ask questions - great questions - and be open to the answers. You never know what you might find out, where it will lead you and what you’ll innovate along the way. 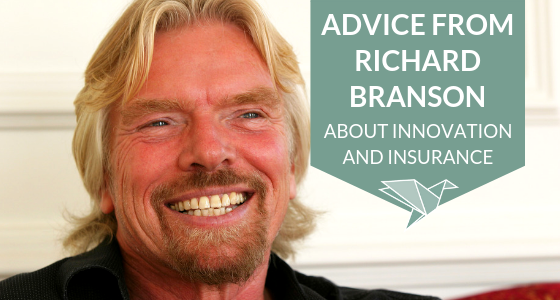 So, what will you do to innovate like Branson? We've run some brilliant Innovation days for Insurers recently - getting whole teams involved in generating new ideas across process, sales and client solutions. See the amazing results achieved here. If you like the idea of increasing innovation in your team, get in touch and we'll share how you can achieve it quickly and easily.